Finally, the site on the corner of King William and Currie will be getting redeveloped. Further details to follow in the next day or so. Apologies for the tease. Architect will be Loucas Zahos Architects. Lets hope its iconic given the location. The build that Adelaide Metro occupies at ground level? Fantastic news, can't wait to see the details! 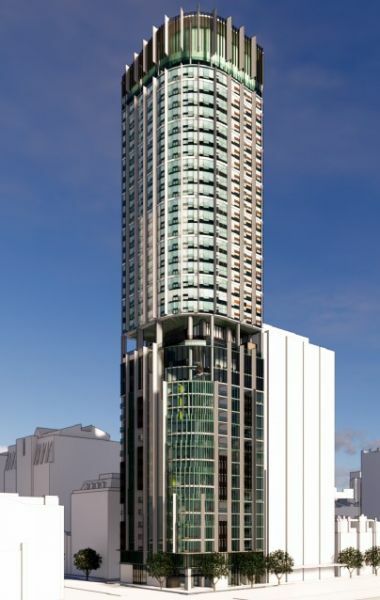 Fingers crossed for a new tallest - perhaps a hotel, slightly taller than Adelaidean? Great news! My guess is something around the 120m mark... Considering what the architect has done before but also the fact that Sofitel is going up just down the road, the developer probably wouldn't want their development to get washed out in the skyline. CDJ is a good source, couple clues in there for sure. Given the location, anything sub 130m will be a disappointment. However, with height, it needs to be a remarkable looking building especially given it's prominent location. Maybe he does. But it's also a logical deduction that it wouldn't be an office tower. Tenants after that much space demand much larger floor area than what this site allows. Even for a hotel/resi this is a really small site which would be rendered even smaller if they wanted a northern setback to allow windows/balconies with northern views. At 135m it would look pencil thin. I'm not too hot for modern architecture but LZ does some good stuff. Looking forward to what they come up with. Confirmation the building is 39 levels. Likely to be a new tallest as first few levels are commercial, however still in very early stages of application so may change. Thanks for the update Ben, fingers crossed it stays that height.